Q *In a Cilla Black Voice* What’s your name and where do you come from? A Hi! I’m Marcus and I’m from Laaandan! A Nutshot Peanut Butter – Made from 100% Peanuts. No Additives, No Artificial ANYTHING! Q How long have you been doing this? A I hatched a plan about a year ago. Q What made you decide to go pro? A I had a feeling I could create something better than the leading brand. Research suggested Peanut Butter is in significant growth and that there is increasing demand for healthier alternatives, especially products steering away from the ‘orrible palm oil! There’s no excuse for additives – it’s lazy and unnecessary. A We launched on Kickstarter with over 370 backers and then won a Great Taste Award in 2013. A I am half human, half Auton – I once sealed Dr Who inside the Pandorica. Q Aside from incarcerating Dr Who, what’s been your biggest challenge to date? A Finding a factory that would work with a start up and then working with them to get the taste and texture right. 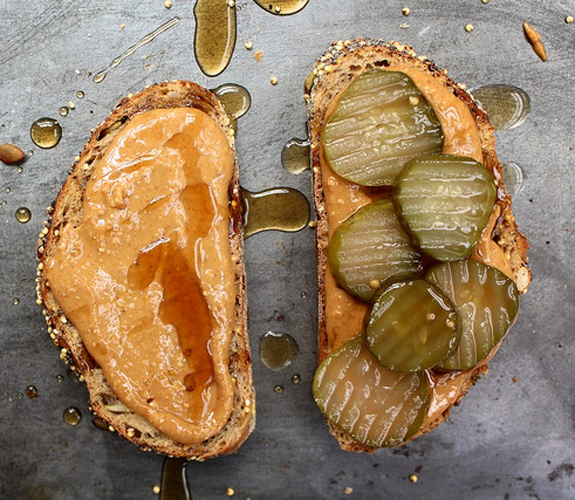 This might sound silly given that we only use one ingredient but a lot of science goes in to the roasting and blending of our Peanut Butter. Q What brands inspire you? A Alibi Drinks for their growth, Vita Coco for their marketing and Joe & Seph’s Popcorn for their quality. Q Why should you win Britain’s Next #TopSupplier? A We’re geared up to go. We’re offering a healthier, affordable alternative to the regular brands without compromising on quality or taste – in fact we’ve improved it. A Lets go crazy! Wholegrain Toast with Nutshot Chunky Peanut Butter, Raspberry Jam and Jalapeños (add a little fresh chilli if you’re so inclined). Like what you see? Give us your thoughts on Nutshot in the comments. This entry was posted in Britain's Next Top Supplier, Talking Ocado and tagged #TopSupplier, BNTS, Britain's Next Top Supplier, British Food, competition, food, Groceries, London, Ocado, Ocado deliveries, Ocado Vouchers, peanut butter, Recipes, small suppliers, UK Food by Ocado. Bookmark the permalink. Enthused by the wonderful Nut shot peanut butter article on the blog I rushed to ocado to add to my order but its not stocked by ocado!!! So the question is where can I buy it and shouldn’t ocado be stocking it? 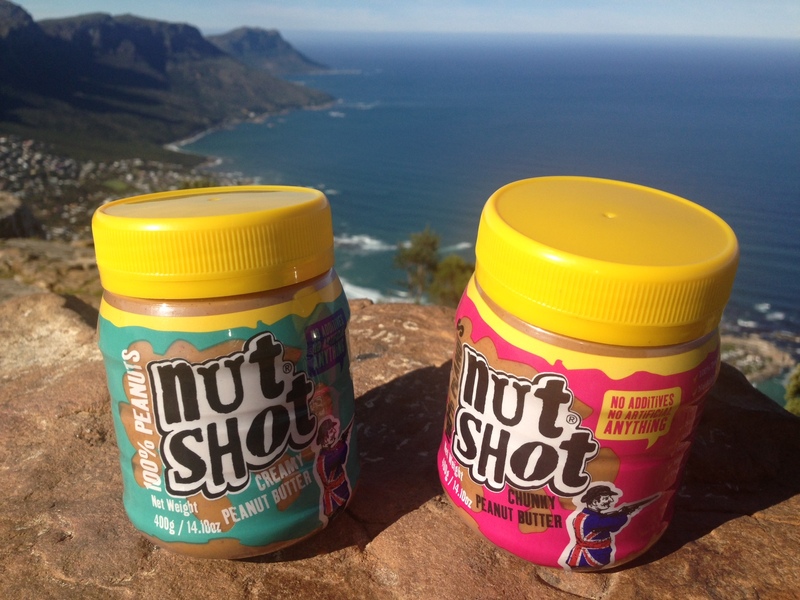 I was one of The kick start investors for Nutshot and can attest to the fact it is delicious. My kids went mad for it! Marcus has created a great product and it deserves to be a winner. How interesting Ben! It’s brilliant to hear feedback from fans and customers on the competition entries. Thanks for sharing.